Natasha Romanov is travelling to Venice for Easter!Pictures! The singer Natasha Romanov has been travelling almost a month and she won't be coming back for Easter. This year she will spend the holiday in romantic Venice, Italy! 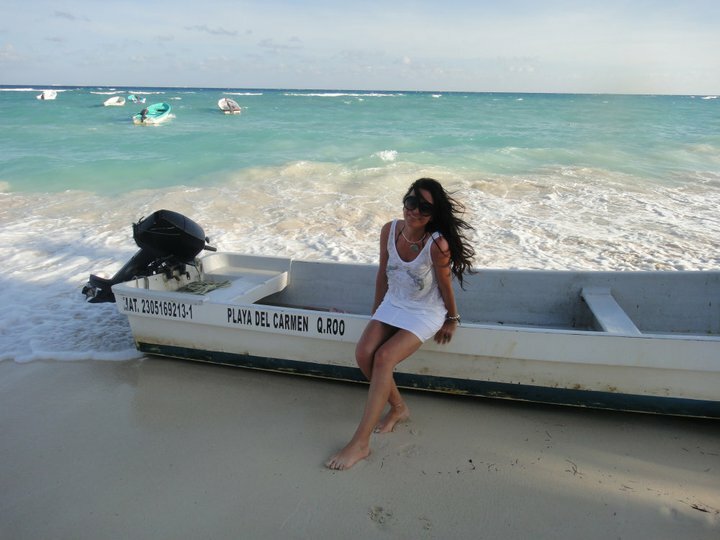 Natasha started her travels in Mexico, where she was both working and enjoying the country as well. "I was just in Mexico, where I was invited by Carla Estrada, who is a famous producer of soap operas. I was also modelling in fantastic dresses of Mitzy International, (the price for one dress is 80000 USD). What is more, when I presented my song "Baila tu piel Morena" on Mexican television for all Latin America, the first lady of Mexico was there and all famous actors of soap operas too. Later I spent few days with famous Mexican singer Dulce, who was giving me some singing lessons!" Besides that Natasha also did some charity work there with "Corazon de niña" and met important impresarios to collaborate with, for the projects they have in Spain and Mexico. On her free time Natasha climbed on top of the pyramid of Sun and got a lot of positive energy there. "Then I had fantastic few days in Cancun with friends enjoying the shows and traditions of Mayas and of course traditional Mexican cuisine. 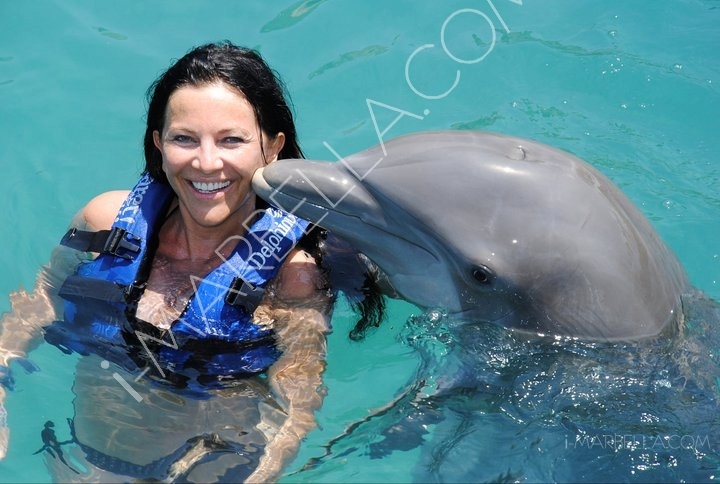 I also had a great opportunity to kiss the dolphins!" Now she is on her way to Venice where her family is waiting for her! "For me Easter means spending time with your loved ones and family and I hope this will be the holiday I remember the most, because Venice is a city of love. Here we will visit a lot of museums, eat my favorite, Italian food, maybe also do some shopping and drive with the gondolas," she says. that is awesome, i wish i could go to mexico. Natasha is so beautiful!